GM Nigel Short. Iranian GM Elshan Moradiabadi was second with 7.5, followed by Short with 7 points. 8 players were “thaied” for 4th place. FM Wisuwat becomes the new local champion with 5.5/9 points. 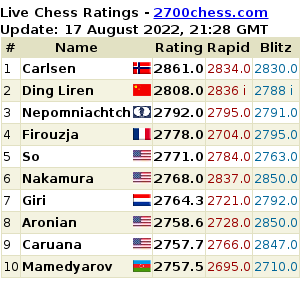 IM norms were acheived by Shen Siyuan and M S Thejkumar, plus a WGM norm for Zhou Guijue.